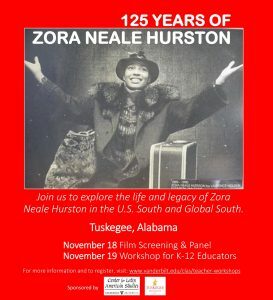 Description: 2016 marked Zora Neale Hurston’s 125 birthday and we celebrated! Born in Notasulga, Alabama, Zora Neale Hurston was a novelist and folklorist who worked the U.S. South and the Caribbean. She was one of the foremost anthropologists working from the opinion that stories, and how we tell them, matter. Educators came to explore Hurston’s connections to the African Diaspora in the U.S. South, as well as Honduras, Haiti and Jamaica. On Friday, November 18th at 6:00PM a scholarly panel and film screening of the documentary film Jump at the Sun were held. This event is open to students, teachers, and the public. This event was followed by a professional development teacher workshop on Saturday, November 19th from 8:00AM – 1:00PM. Teachers explored the life and legacy of Zora Neale Hurston in the U.S. South and Global South with Dr. Rhonda Collier (Tuskegee University) and Dr. Tiffany Ruby Patterson (Vanderbilt University). In this workshop, teachers discussed ways to incorporate Hurston into a variety of classrooms including history, social studies, literature, and Spanish. Lunch will was provided, and we celebrated with the Alabama State Cake! 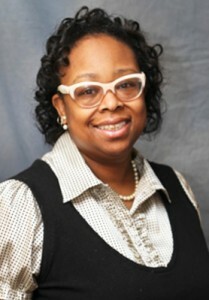 Dr. Rhonda Collier holds a Ph.D. in comparative literature from Vanderbilt University (2002). Additionally, she has a B.S. and M.S. in industrial (‘91) and health systems engineering (‘93) from the University of Tennessee, Knoxville and Georgia Tech, respectively. As an engineer, she worked for General Electric in the area of manufacturing and broadcasting systems. Later in her engineering career, she worked as an analyst at Cigna Healthcare. After several years in industry, Dr. Collier became interested in the people and the places behind the products and processes. She is fluent in Spanish and Portuguese with reading knowledge of French and Italian. She is a former U.S. Fulbright Scholar, who studied at the Universidade de São Paulo in São Paulo, Brazil. She previously served as director of the Abilene Christian University’s Latin American Study Abroad Program in Montevideo, Uruguay. In South America, she was responsible for the safe execution of the university’s on-site program. She also was responsible for staff hiring and management of student logistics and safety. She published in the areas of Cuban literature, Brazilian literature, global hip-hop, and public theology, and collaborates with the Vanderbilt University Center for Latin American Studies. 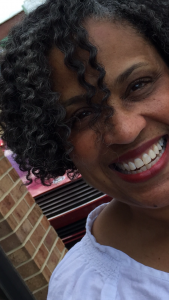 Dr. Zanice Bond earned a Ph.D. in American Studies from the University of Kansas. She is currently an Assistant Professor of English at Tuskegee University, where she teaches southern literature with an emphasis on the global south. Zora Neale Hurston’s interdisciplinary work is an integral part of this literature course and inspired Bond to travel to Jacmel, Haiti, last summer, where she volunteered as an ESL teacher at a local orphanage. Dr. Bond is a 2015-2016 Woodrow Wilson Fellow and is currently transforming her dissertation Race, Place, and Family: Narratives of The Civil Rights Movement in Brownsville, Tennessee, and the Nation into a book manuscript. She is also co-authoring with Ifeoma Nwankwo an essay on the Haitian diaspora and the Hispanophone Caribbean. Her essay “Small Places Close to Home” Gender, Class, and Civil Rights Work–Mildred Bond Roxborough and the NAACP is included in Tennessee Women: Their Lives and Times volume 2, Beverly Greene Bond and Sarah Wilkerson Freeman eds. (University of Georgia Press, 2015).